The premise is simple and just plain cool: marrying crossword puzzles with political and social action. 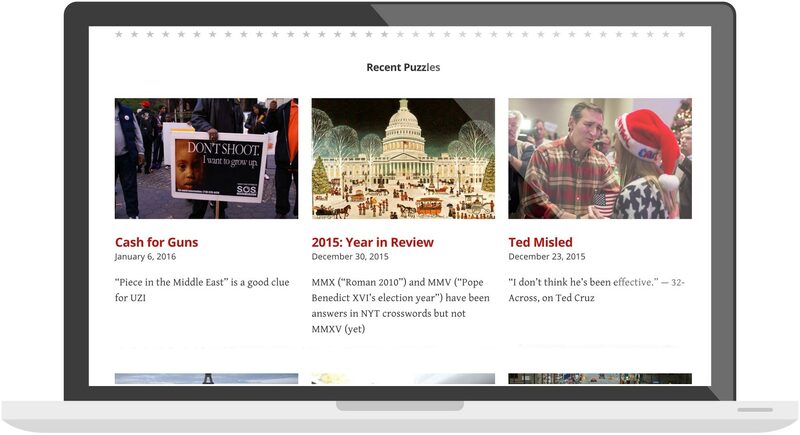 Every week, author David Levinson Wilk releases a new puzzle centered around a current issue, along with a short (and very witty) commentary. When you solve the puzzle, you can tweet it or email it to your congress person. 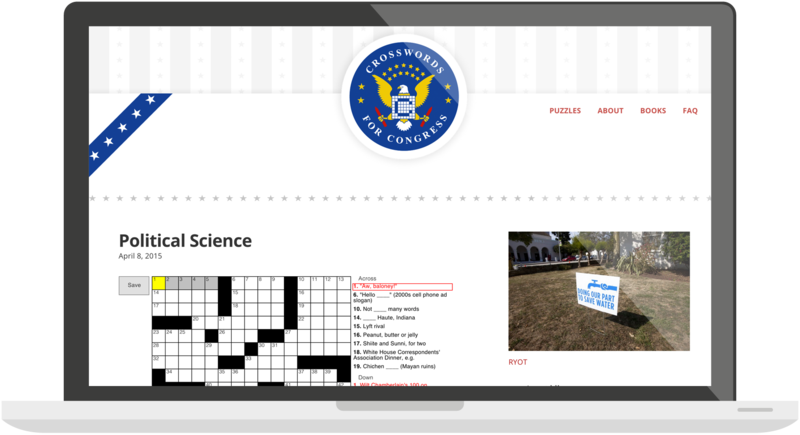 We created a logo that represents the fun spirit behind Crosswords for Congress. The responsive site is clean and to the point - we want people to concentrate on the puzzles without much distraction, and to be able to share on social media and reach out to their congress person when they're done. "These guys could not have been more exceptional at helping me launch my site Crosswords for Congress. Visionary, professional, patient (I'm an idiot with all e-things), accessible, energetic, fun. I could not have asked for a better partnership."